LIFESTYLE INCLUDED! Resort Living on the Golf Course! Gated Community Located in Solera. 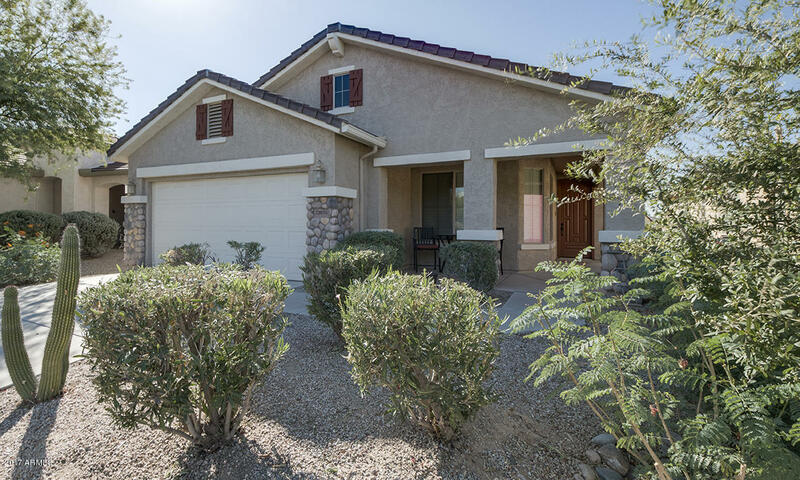 This Fully Furnished Single Level Pulte Home has everything you are looking for! Features; Neutral colors, Tile flooring, 2 Bedrooms + Den, Eat in Kitchen, GE profile appliances, upgraded cabinets & counter tops, Spacious Family Room wired for surround sound, Large master bedroom, separate tub & shower, large vanity with double sinks & walk in closet. Cozy back patio overlooks the golf course & mountain views! Low maintenance landscaping, perfect for those who want low maintenance. A short distance to the Solera Clubhouse, heated pool & spa, fitness center, billiard room & Enjoy all the luxury amenities! Close to Queen Creek Marketplace, Shopping, & Restaurants. Also for Lease MLS 5661408.